In the two years since her father died, sixteen-year-old Eva has found comfort in reading romance novels—118 of them, to be exact—to dull the pain of her loss that’s still so present. Her romantic fantasies become a reality when she meets Will, who can relate to Eva’s grief. Unfortunately, after Eva falls head-over-heels for him, he picks up and moves to California with barely any warning. Not wanting to lose the only person who has been able to pull her out of sadness—and, perhaps, her first shot at real love—Eva and her best friend, Annie, concoct a plan to travel to the west coast. As they road trip across America, Eva and Annie confront the complex truth about love. Margo Rabb is an acclaimed novelist whose debut, Cures for Heartbreak, was hailed by critics and young readers alike. Her essays and short stories have appeared in the New York Times, the Atlantic, the Rumpus, Zoetrope: All-Story, Seventeen, Best New American Voices, New Stories from the South, and One Story, and have been broadcast on NPR. She received the grand prize in the Zoetrope short story contest, first prize in the Atlantic fiction contest, and a PEN Syndicated Fiction Project Award. Margo grew up in Queens, New York, and has lived in Texas, Arizona, and the Midwest; she now lives in Philadelphia with her husband and two children. 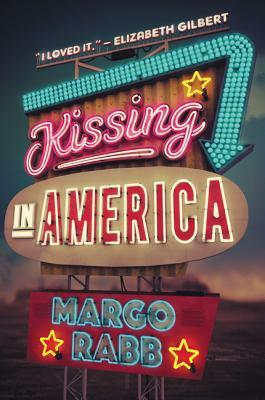 “Kissing in America” is a road-trip story with humor and heart. “Rabb’s coming-of-age story has a sweep as wide as the star-spangled sky. [Her] snapshots of America are witty and perceptive and appropriately poetic. There’s not just one love story in Kissing in America, there are many.